BAGUIO CITY – Senate President Aquilino Pimentel III clarified that federalism advocates will not insist in amending the 1987 Constitution once Filipinos will be divided on the issue considering that it will not do good for the country once there will be a fragmented nation. Pimentel, who was present during the regional consultation on charter change which was undertaken by the Senate committee on constitutional amendments and revision of codes chaired by Senator Francis Pangilinan held Friday in the city, explained that federalism is just one of the forms of government being considered in the proposed amendment of the constitution, thus, federalism should not be equated to charter change or the other way around. “Solidarity comes from the heart of the people that is why in the absence of solidarity, we will not be able to pursue in the proposed shift to federal form of government,” Senator Pimentel stressed. The Senate President pointed out there is a need for a sustained and aggressive information and education campaign to be done to make Filipinos understand the advantages of shifting to federal form of government wherein there will be decentralization of powers and resources that could be maximized by the local governments in charting their development thrusts for the desired growth in the countryside. He said that the Partido ng Demokratikong Pilipino (PDP) Laban has been advocating for the shift in the form of government to federal since 1982, thus, it is unfair to equate the current plan to change the form of government to President Rodrigo R. Duterte who has been openly campaigning for the shift to federal form of government. According to him, shifting to federal form of government will address 4 of the country’s major problems wherein there will be decentralization of powers and resources, local governments will have the chance to develop because they will have greater share of the government’s resources, peace in Mindanao will be achieved and there will be a respect of the country’s rich culture, history and traditions. 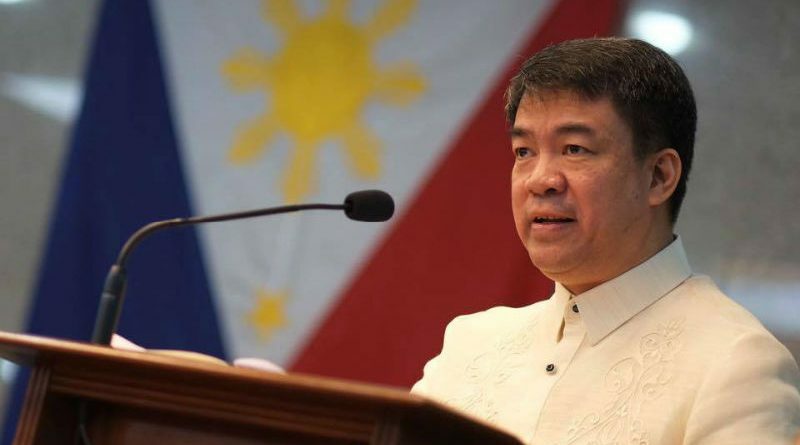 Senator Pimentel said there is no discussion yet on how to divide the country into federal states considering the numerous proposals that had been gathered during their previous consultations around the country, thus, the PDP Laban will come out with a definite plan once it has been able to gather the sentiments of the people in the different parts of the country. He emphasized the Senate constitutional amendments and revision of codes committee is going around the country to get the sentiments of the people on what will be the best way to push through with the planned charter change, through the constituent assembly which is much cheaper and easier, the organization of the Constitutional Convention which will be time consuming and much expensive or the peoples initiative. If it will be decided that the constituent assembly will deliberate on the proposed charter change, the Senate will insist that voting should be done separately to allow the upper chamber to asset the inclusion of provisions beneficial to the greater interest of Filipinos.